These are really sleek machines. They contain 10 Intel NUCs, plus an 11th one for the management. They are used as a demonstration tool for big software stacks such as OpenStack, Hadoop, and, of course, Kubernetes. They are freely available from TranquilPC, so if you are an R&D team, or just interested in having a neat little cluster at home, I encourage you to have a look. 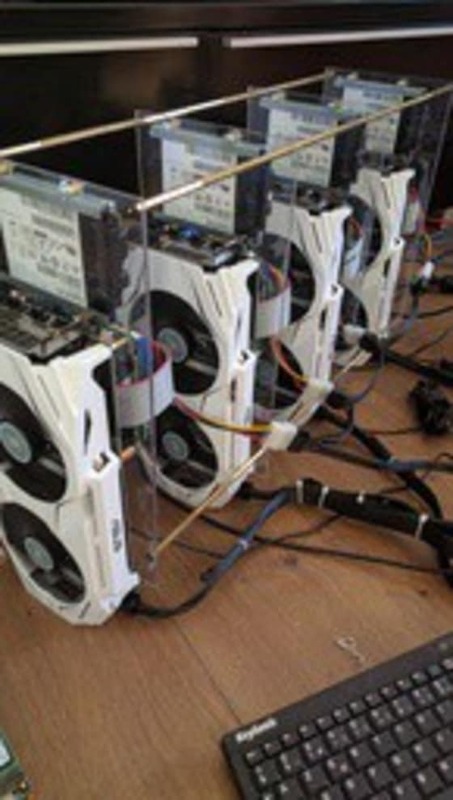 However, despite their immense qualities they lack a critical piece of kit that Deep Learning geeks cherish: GPUs!! In this blog/tutorial we will learn how to build, install and configure a DIY GPU cluster that uses a similar architecture. We start with hardware selection and experiment, then dive into MAAS (Metal as a Service), a bare metal management system. Finally we look at Juju to deploy Kubernetes on Ubuntu, add CUDA support, and enable it in the cluster. Hardware: Adding fully fledged GPUs to Intel NUCs? When you look at them, it is hard to tell how to insert normal GPU cards into the tiny form factor of Intel NUCs. However they have a M.2 NGFF port. This is essentially a PCI-e 4x port, just in a different form factor. And, there is this which converts M.2 into PCI-e 4x and that which converts PCI-e 4x into 16x. Sooo… Theoritically, we can connect GPUs to Intel NUCs. Let’s try out!! 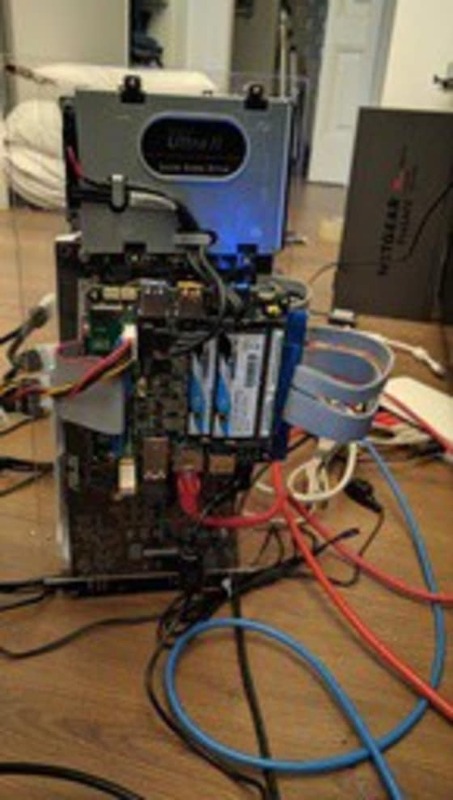 Let us start simple with a single Node Intel NUC and see if we can make a GPU to work with it. a PSU to power the GPU: for this, I found that the Corsair AX1500i was the best deal on the market, capable of powering up to 10 GPUs!! Perfect if I wanted to scale this with more nodes. Hack to activate power on a PSU without having it connected to a “real” motherboard. Thanks to Michael Iatrou (@iatrou) for pointing me there. At this point, we have proof it is possible, it’s time to start building a real cluster. Intel NUC6i5RYH is a good option for performance, but it does not have Intel AMT so you won’t be able to activate full automation of operations. 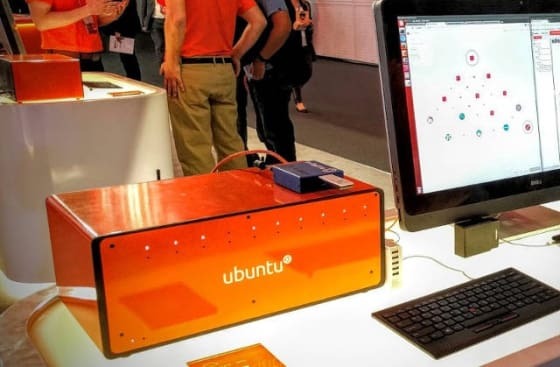 Would you want to do something closer to the Orange Box with complete automation of the power cycle, you’d need to buy the older NUC5i5MYHE, which is the only reference with vPro (beside the board itself). More info here. Then for management nodes, 2x of the same above NUCs but without the GPU and with a smaller SSD. Switch Netgear GS108PE. You can take a lower end switch, I had one available that’s all. I didn’t do anything funky on the network side. If it does not fit in the box, remove the box. So first the motherboard of the NUC has to be extracted. Using a PVC 3mm sheet and the spacers, we can have a nice layout. On one side for the PVC, we attach the GPU so the power connector is visible at the bottom, and the PCI-e port just slightly rises over the edge. The holes are 2.8mm so that the M3 spacers goes through but you need to screw them a little bit and they don’t move. On the other side, we drill the fixation holes fro SSD and Intel NUC so that the PCI-e riser cable is aligned in front of the PCI-e port of the GPU. You’ll also have to drill the SSD metal support a little bit. We repeat the operation 4 times for each node. Then using our 50mm M3 hexa, we attach them with 3 screws between each “blade”, book up everything to the network and… Tadaaaaa!! Giving life to the cluster will require quite a bit of work on the software side. Instead of a manual process, we will leverage powerful management tooling. This will give us the ability to re-purpose our cluster in the future. The tool to manage the metal itself is MAAS (Metal As A Service). It is developed by Canonical to manage bare metal server fleets, and already powers the Ubuntu Orange Box. Then to deploy, we will be using Juju, Canonical’s modelling tool, which has bundles to deploy the Canonical Distribution of Kubernetes. 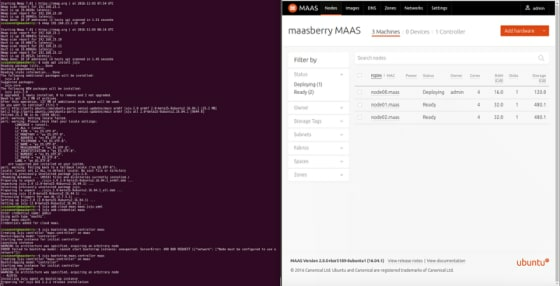 First of all we need to install MAAS on the Raspberry Pi 2. 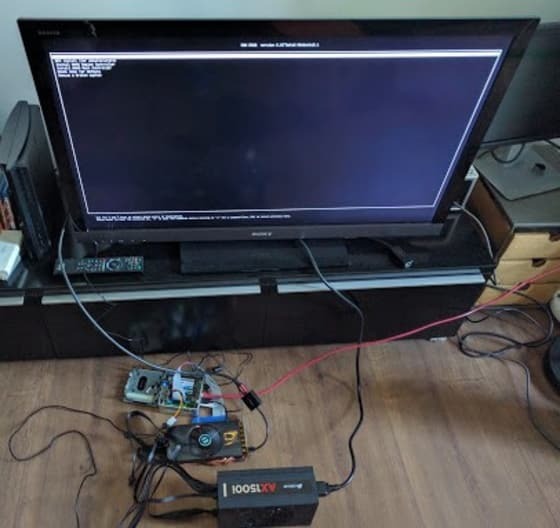 In our setup, the Raspberry Pi is the point of contention of the network. While MAAS provides DNS and DHCP by default it does not operate as a gateway. Hence our nodes may very well end up blind from the Internet, which we obviously do not want. OK so now we have traffic passing, which we can test by plugging anything on the LAN interface and trying to ping some internet website. Now via the GUI, in the network tab, we rename our fabrics to match LAN, WAN and WLAN. Then we hit the LAN network, and via the Take Action button, we enable DHCP on it. The only thing we have to do is to start the nodes once. They will be handled by MAAS directly, and will appear in the GUI after a few minutes. They will have a random name, and nothing configured. First of all we will rename them. To ease things up, in our experiment, we will use node00 and node01 for the first non GPU nodes, then node02 to 04 being the gpu nodes. * tag them **gpu** for the 4 workers. Juju needs to bootstrap which brings up a first control node, which will host the Juju Controller, the initial database and various other requirements. This node is the reason we have 2 management nodes. The second one will be our k8s Master. 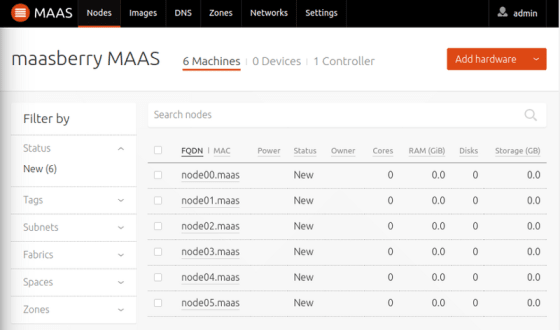 In our setup our nodes have only manual power since WoL was removed from MAAS with v2.0. This means we’ll need to trigger the bootstrap, wait for the node to be allocated, then start it manually. 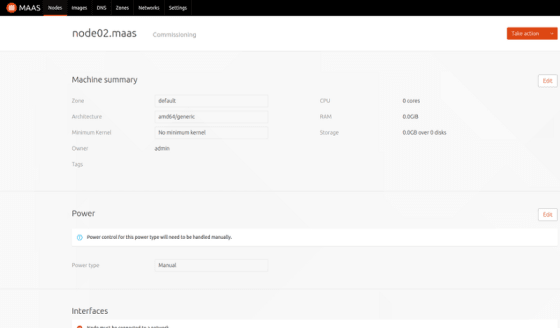 Bootstrap complete, maas-controller now available. That is it. This is the only command we will need to get a functional k8s running! easyrsa/0 active idle 0 192.168.23.3 Certificate Authority connected. kubernetes-master/0 active idle 0 192.168.23.3 6443/tcp Kubernetes master running. kubernetes-worker/0 active idle 1 192.168.23.4 80/tcp,443/tcp Kubernetes worker running. kubernetes-worker/1 active executing 2 192.168.23.5 (install) Container runtime available. kubernetes-worker/1 active idle 2 192.168.23.5 80/tcp,443/tcp Kubernetes worker running. kubernetes-worker/2 active idle 3 192.168.23.7 80/tcp,443/tcp Kubernetes worker running. kubernetes-worker/3 active idle 4 192.168.23.6 80/tcp,443/tcp Kubernetes worker running. Which will create a new folder called builds in JUJU_REPOSITORY, and another called cuda in there. Just scp that to the Raspberry Pi in a charms subfolder of your home. Pretty awesome, we now have CUDERNETES! So now the Kube API will accept requests to run privileged containers, which are required for GPU workloads. 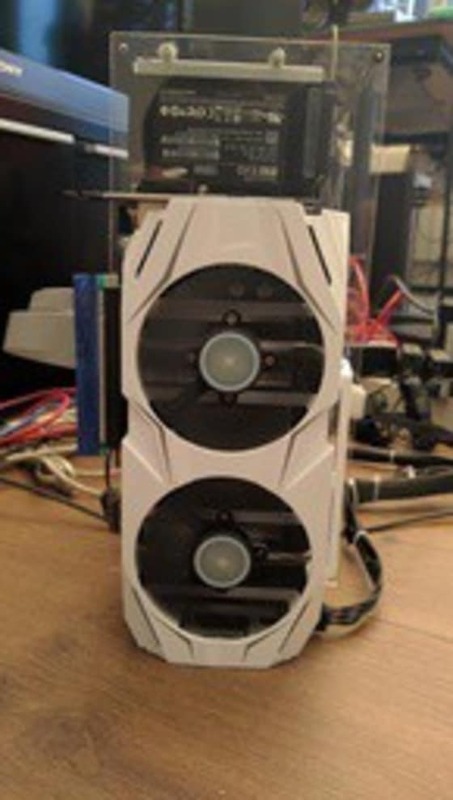 Now that we have CUDA GPUs enabled in k8s, let us test that everything works. We take a very simple job that will just run nvidia-smi from a pod and exit on success. Perfect, we have the same result as if we had run nvidia-smi from the host, which means we are all good to operate GPUs! So what did we achieve here? Kubernetes is the most versatile container management system around. It also shares some genes with Tensorflow, which itself got often demoed as containers, in a scale out fashion. It is only natural to fasten Deep Learning workload by adding GPUs at scale. 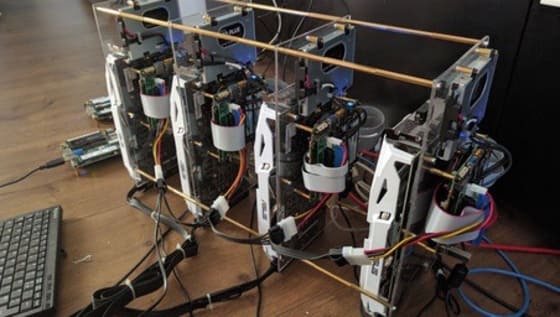 This poor man GPU cluster is an example of what can be done for a small R&D team if they wanted to experiment with multi node scalability. We have a secondary benefit. You noticed that the deployment of k8s is completely automated here (beside the GPU inclusion), thanks to Juju and the team behind CDK. Well, the community behind Juju creates many charms, and there is a large collection of scale out applications that can be deployed at scale, like Hadoop, Kafka, Spark, Elasticsearch (…). In the end, the investment is only MAAS and a few commands. Juju’s ROI in R&D is a matter of days. Huge thanks to Marco Ceppi, Chuck Butler and Matt Bruzek at Canonical for the fantastic work on CDK, and responsiveness to my (numerous) questions.